This entry was posted in Animals, Photography, Tanzania, Unusual Perspectives and tagged Hippo, jaws. Bookmark the permalink. What a great yawn! I suppose he went back to sleep afterwards… Great photo. Thanks. Don’t know about the sleeping part. Got it at the right moment. Thanks Pat. 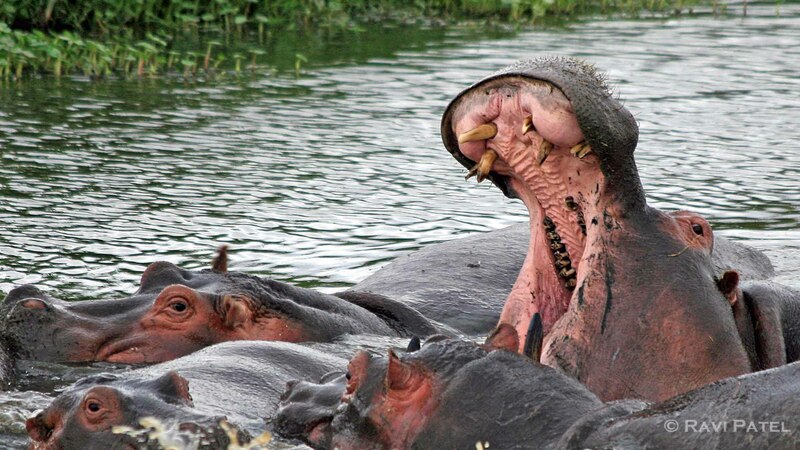 That is a very nice catch…I found myself checking out the inside of the hippos mouth. Pretty intriguing, and a sharp shot. Thanks. I was lucky on the timing.